I tried Outlook.com using an existing @live.co.uk. It setup OK, sent a test message - all OK, but how do I get back to my Outlook.com email address setup? There is no icon and the email address still exists in @live.co.uk. Is this more of Microsoft not thoroughly checking before inviting the public to tear their hair out? In this excerpt from Answercast #45, I look at the steps necessary to create an Outlook.com email rather than just use the Outlook.com user interface. No, it's more like Microsoft not being clear, once again, about exactly what it is their product offering is, and most importantly, is not. You do not get a new email address. Your email address stays exactly the same. What you get is the new Outlook.com user interface. It's the new way to interact with your email address. So what you can do then is decide whether or not you like that interface for your email. If you don't, then up at the upper right, there's a gear icon; and underneath the menu that pops down – if you click on that, is an option to go back to Hotmail.com (or wherever it was you previously had the user interface for your email). But again, nothing about your email address actually changes. And you are receiving email at the old address. It's just how you look at it. It's a question of: What is the user interface that you're going to be using when you login on the web? If you actually want a new Outlook.com email address, you actually have two options. And then go to Outlook.com. Instead of logging in, use the Create New Account link. That then will create a completely new account (completely unrelated to your other accounts) that is at this new Outlook.com email address. You may find that your email address at Hotmail.com or at Live.com has already been taken by somebody else at Outlook.com. It's just another email address and other people could in fact be getting the email address that you normally considered to be "yours" at Outlook.com before you choose to go there. For example, the very first thing I did when I got to Outlook.com was to see if Leo@outlook.com was available. Not surprisingly, it was not. First names are usually the first thing to go. There is the option to add what they call an alias. That can be another email address at Outlook.com. That then shows up when you login to your regular old Hotmail.com or Live.com email address using the Outlook.com user interface. Like I said, it's kind of complicated. I really wish Microsoft had done a better job of documenting and clarifying exactly what it is that happens when Outlook.com and your previous email addresses interact. But that's what it boils down to. You do not get a new email address at Outlook.com. All you're doing is viewing your existing email (at your existing email address) using the new Outlook.com user interface. Or you can do this alias thing that they offer when you are logged into Outlook.com using your old email address. Next from Answercast 45 – My CD tray keeps going in and out, how should I proceed? Why can't I get my Hotmail email address at Outlook.com? The change from Hotmail.com to Outlook.com is not automatic. You are not guaranteed to get your old handle in the new system. Do I need to download outlook.com if I have Outlook 2010? Outlook (from Microsoft Office) and Outlook.com (the new look of Hotmail) are two different things. It's not surprising that you are confused! I found that after creating my new @Outlook.com address Outlook gave me the option of keeping my old addresses like Hotmail & Live. When I agreed to that it setup my old addresses as a folder in my Outlook.com email account. So I now go to Outlook.com and login and have access to all my old aliases. It's great. I think Microsoft did a great job and that's coming from a person who is all Google. Documentation could be better. Initially this might seem to be a little off-topic, but please read on ... I have read articles (and at least one on the excellent ask-leo) about the strength of passwords. This obviously includes the length of the password. Don’t worry. 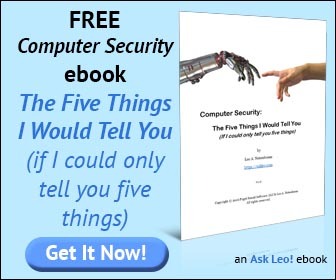 Your email address, password, emails, contacts and files remain the same." "Microsoft account passwords can contain up to 16 characters. If you've been using a password that has more than 16 characters, enter the first 16." This is what I would describe as "yet another Microsoftism". I'm sorry, but for me but this is just another reason why I think I was right to transfer to gmail. It sounds like your son logging in might have made the browser's auto-remember store his details instead of yours. More than likely you are doing your username or password wrong as a result. You may also need to try a password recovery if you can't remember the password exactly. Yay! I was happy to find that my preferred name wasn't yet taken @ outlook.com :). Thanks for the heads-up Leo.